Home Page | How does it work? | How to measure water conductivity? How to measure water conductivity? One of the important parameters in water quality monitoring is the water conductivity. It can tell a lot about the examined waterbody, and is used in lots of researches. First of all let’s determine what is conductivity and what makes water conductive. The conductance of any material is the measured capacity to conduct electricity. The conductivity of liquids is usually specified by the share of dissolved materials like chlorides, sulfides, alkalis. These compounds, also referred to as electrolytes, when dissolved turn into ions that pass electricity. The more ions are concentrated in the liquid — the higher is the ability to carry the current flow. The unit of measurements is siemens per meter, but more often micro and deciSiemens per centimeters are used. Specific conductivity of water was used in researches to make the compartments easier, it is the conductivity of the solution at the specific temperature. Specific conductivity is measured in uM/cm at 25 degrees Celsius. Conductance and resistance are the derivatives of conductivity, and depend on the length of the conductor. Some also use the term salinity, but it is not quite right. It measures the total content of dissolved salts. It looks like conductivity, but implies more to chemical composition of water. Due to the complexity of such analyses, salinity is often derived from the flow of the current that goes through the solution. Conductivity measuring is widely used in ecological researches. Changes in chemical composition of water in natural water reservoirs can cause dramatic changes in the local ecosystem and even result death of fish, plants and other inhabitants. Water salinity and conductivity are important parameters in drinking water supplies. Excessive presence of certain salts and inorganic compounds can cause harm to human’s health. Thus, conductivity appears as an important indice in many fields and applications. Let’s see how it can be measured. In our online store you can find different instruments to measure various parameters of water. The research can be conducted on different principles, continuous and real time monitoring have their own specific features and different applications. When you need to know the current water conditions it is better to use the water multiparameter levels. They give quick and accurate results in real time. The instruments represented in our online store are handy, portative and user friendly. 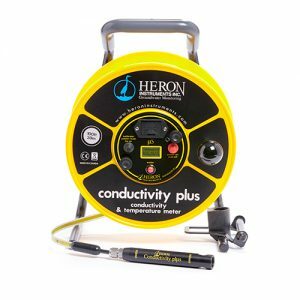 The brands Heron Conductivity Plus and Solinst TLC 107 are well-known among specialists as reliable and accurate equipment. Both models work in wells, open water, drill holes and other reservoirs. They measure the level of water in real time, conductivity and temperature. All sensors are enclosed in one probe, connected to the reel by firm tape with laser marking. All details are made of solid and long-wearing materials resistant to contaminants and various hazards. All you need is to deepen the probe on the tape into the well. When it reaches the water, the instrument gives the light and sound signal and shows the information about temperature and conductivity on the LCD screen. 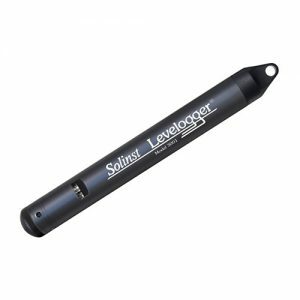 The manufacturers In-Situ, Solinst, Van Essen and Aquaread represent the water loggers that help to monitor the level, temperature and conductivity of water in wells and boreholes on unmanned continuous basis. Such instruments make regular records of controlled parameters, which helps to observe the water quality and how it changes with time. Loggers can operate for long time without man’s assistance.